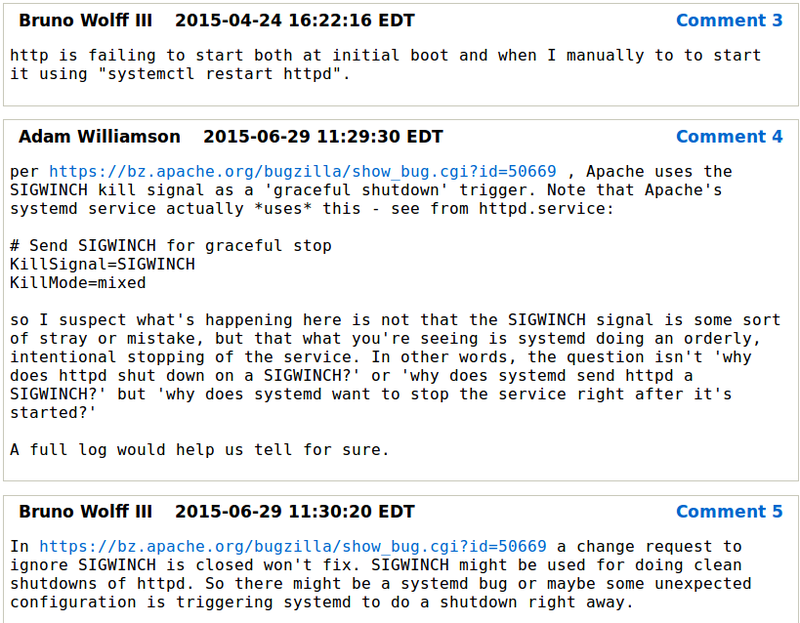 and the service apache does not start? I can find in internet what SIGWINCH means [Window size change] but it does not really help me in this case. Running on SLES 12 SP1. I have compiled Apache on my own. Starting it with apachectl -k start works perfectly and I can access and run the PHP code. IMO, there is a possibility of another error, including configuration errors, making it stop, and you are looking at related symptoms which are normal behaviour. 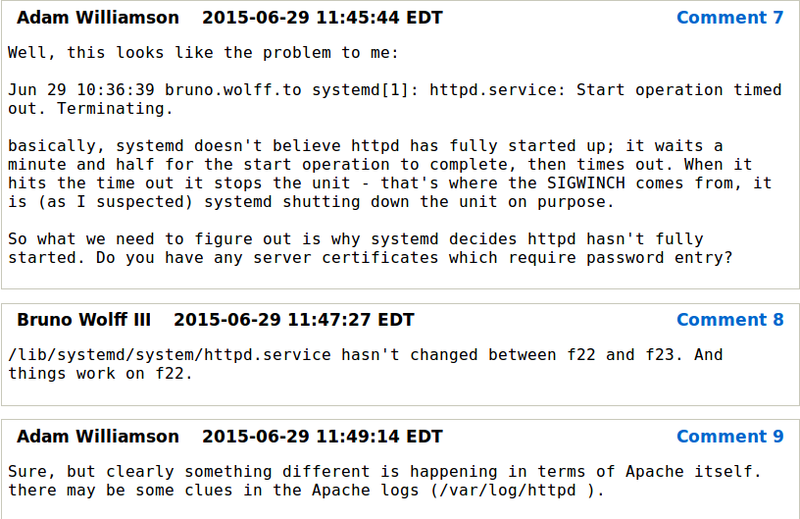 I would recommend perusing your Apache error logs, usually by default in SLES under the directory /var/log/apache2. I found a similar problem reported on RedHat. Closed with a status "NOTABUG". Eventually recognised as wrong config. I found one more similar problem reported on serverfault. And one more in the answer to it, in the image below. It looks like you need to run 00-systemd.conf if you want systemd to recognize that httpd has started successfully. I'm on Amazon Linux 2 (will probably also work on RHEL/Centos 7). Not the answer you're looking for? Browse other questions tagged systemd apache-httpd services signals suse or ask your own question. What's the best way to remove pid files before starting a service?